The most elusive smartphone at IFA 2017 is, of course, the not-yet announced iPhone 8. That being said, we’ve read the name iPhone 8 throughout the halls quite a few times during our time at the fair. While scouring the halls for the convention center, we’ve spotted accessories already being sold for the latest Apple smartphone. The date has been set: on September 12, Apple will present its next iPhone, and we’re more than sure it will be the iPhone 8. That being said, until the company unveils the phone officially, there are still quite a few questions about its composition. It was, however, somewhat omnipresent at the IFA, with some presenters already showing off protective glass for the iPhone 8, which give something away about how it will look. From what we saw, Apple has reduced the bezel around the display to an absolute minimum. Apparently there will also not be a home button with Touch ID Sensor on the front after all. An employee of one of the manufacturers was able to confirm that the protective covers do indeed fit the actual prototypes of the iPhone 8. It was slightly surprising to discover these iPhone 8 accessories, seeing as Apple is usually so secretive about its latest smartphone. Though we did not see the iPhone 8 at the IFA, it seemed to be somewhat of a hidden guest. 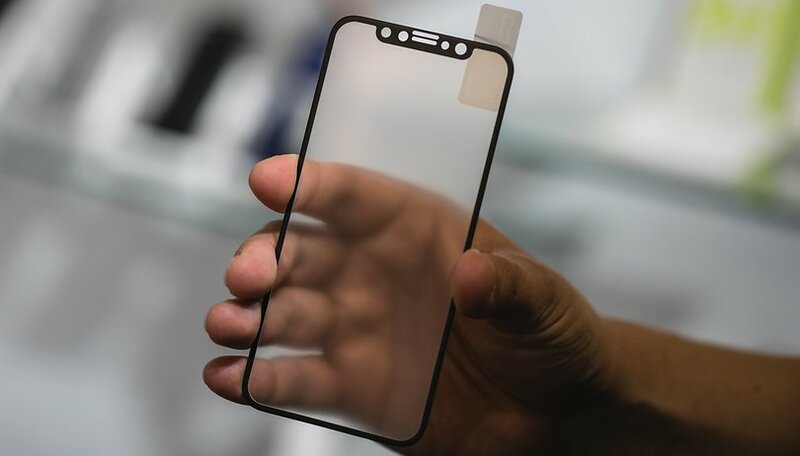 It even got me a bit excited to see what will be unveiled next week as the new design of the Apple smartphone seems to go in a whole new direction. Though it’s very similar to the one recently used by Android founder Andy Rubin on the Essential phone. I’m quite certain that we’ll come across many more iPhone 8 accessories as we walk the IFA halls, but seeing as the cat is already out of the bag, it probably won’t make our homepage unless it is something truly cool. Are you interested to see what the iPhone 8 will look like (even if you are a die-hard Android fan)? Let us know in the comments below. As long as Apple keeps all their products tied into their apple eco system...iPhoto...icloud...KEEP IT!